Autumn Ode – "They Asked Me to Run, Follow the Sun"
It feels like all the music we listen to these days comes from Western culture, no matter if it's pop or rock. We tend to neglect, whether by choice or by innocent ignorance, the sounds that come from across the world. To our joy, we have seen a slow rise in music outside of the Western culture, such as K-pop (Psy). Obviously, they seem outlandish at first, but are quick to assimilate to our own pop culture. Naturally, we grow up perceiving ourselves as at the forefront and as masters of a majority of today's genres, though we are steadily learning this is far from the case. For one reason or another, we forget what non-Westerners are brewing on their side of the world. Autumn Ode, formed in 2007, is a four piece post-rock band from Bandung, Indonesia. It's always quite the wonder how this particular niche has found its way to such places around the world. Nevertheless, Autumn Ode is formed around this style and has brought us "They Asked Me to Run, Follow The Sun" as their latest single. This particular track at first listen my surprise you, as it may seem quite familiar with style of Western post-rock. In fact, you wouldn't be able to tell where this group is based just from listening to their work, and that's just one of the beauties of post-rock. There is no real way to discriminate or be picky. Most of the time, there are no vocals. You may get some clues from the cover art and the language the titles are in, but that's all. 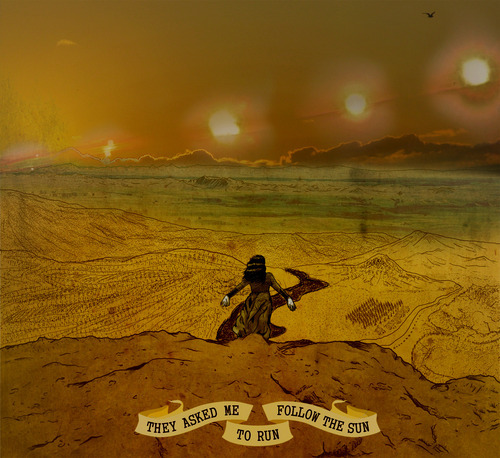 "They Asked Me to Run, Follow The Sun" is an epic 8-minute-and-50-second story filled with harmonics, crescendos, blasts of energy, segments of meditative rests, and intricate layering which are comparable to If Trees Could Talk. This particular track takes on the roots of post-rock, pulling upon your inner feelings and imagery through the technically sound guitaring and drumming. The only clues to what they are conveying is the track title, and that's just how we like it. Robin and the Modest have us flying in the stratosphere with "Little Bird"
Sairen thrills with a serene, cinematic sound on his self titled single "Sairen"